История повседневной жизни человека тесно связана с историей лошади. Монгольская порода лошадей способствовала созданию огромной Монгольской Империи. Поразительные физические особенности этой породы сделали ее уникальной. Сердце монгольского общества было построено вокруг кочевой культуры, а блестящая военная тактика определялась использованием лошади. Автор обращается к исторической и культурной значимости лошадей в Монгольской Империи, проводит научный анализ физических характеристик монгольской породы. В результате расширения Монгольской Империи на Евразийском континенте монгольские лошади оказали влияние на европейские конные рынки и на формирование других азиатских пород лошадей. Память о монгольской лошади сохранялась в сознании европейцев вплоть до 1900-х годов, что привело к множеству попыток разработать особые гибриды европейских лошадей, ориентируясь на легендарных монгольских лошадей. Ключевые слова и фразы: монгольская лошадь, кочевая культура, монгольское общество, Евразийский континент. A scientific and historical investigation on mongolian horses. History of everyday life is closely connected with the history of the horse, which played a big role in human history. The Mongolian horse breed placed upon its shoulders the Mongol Empire. The breed’s astounding physical features made it unique – more than just a little Asian warhorse. This paper conducts a scientific analysis of the physical characteristics of this breed and their relation to other horse breeds. This paper also addresses the historical and cultural significance of these horses in the Mongolian Empire and the eventual impact they would have on the European horse industry. The physical features that define the Mongolian horse breed and the sub-breeds of the species are closely examined. The Mongolian horse breed has influenced other Asian and Northwestern horse breeds, as a result of the expansion of the Mongolian Empire across the Eurasian continent. The heart of the Mongolian society was built around a nomadic culture and brilliant military tactics defined by use of the horse. Memory of the Mongolian horse lingered in the minds of Europeans until the 1900s, leading to a multitude of attempts to develop crossbreeds of European horses on par with the legendary Mongolian horses. Key words and phrases: Mongolian horse, nomadic culture, Mongolian society of the Eurasian continent. Опубликовано 29 июня 2017 года в №11. The Mongolian horse breed is known for its hardiness, a result of living in the harsh climate of Central Asia. The sturdiness of the horses allows them to need little care compared to the Western European horses. The environment in which the horse lived reflects strongly in the Mongolian breed’s temperament. Many people who were not raised alongside the horses often describe them as being wild and tough but willing to work, and the physical features that define the breed resulted in the dispersal of the horses across the Eurasian continent. The Mongolian horse breed is especially notable because it has evolved little and retains many of its primitive characteristics. Because the breed evolved little it is classified as a horse instead of a pony, despite its small size. Ponies are a sibling to horses and are generally defined by having a height shorter than 14.5 hands at the withers. Horses are measured in hands, with one hand being equal to four inches. The highest point of a horse measured to determine the height of a horse is the withers – the raised bone at the base of the horses’ neck. The Mongolian horses are typically 12-14 hands tall at the withers [10, p. 179]. The breed’s limbs are short, but well compact and strong. They are well muscled with a short back and neck. The heads of these horses are large in proportion to its short body. The horses are able to carry up to one-third their weight for long distances and are famous for their ability to go long distances; they can gallop for 10 kilometers without a break. The hard hooves of the breed enable it to live in almost any terrain, and are can dig through snow to find food in frigid environments. The color variations within in the breed are extremely diverse considering the little influence from other horse breeds. Almost every known color variant can be found within the Mongolian breed. However, about 56.7 percent of the horse population in Mongolia remains dark colored because of historical preferences [1, p. 47–49]. The Mongolian horses are often mistaken to be part of another breed, Przewalski’s horse, which is also called the Mongolian wild horse. The Equus ferus Przewalski is believed to be the last surviving ancestor of the modern horse and the only remaining «truly» wild horse. These horses were brought to the attention of the European world when they were «discovered» by Russian naturalist, N.M. Przewalski in 1876, but the Mongolian people were already familiar with the wild spirits of the takh’. Before the last Ice Age, Przewalski’s horses occupied territory as far as the East Asian coast and the west European coast [1, p. 47–49]. However, now they can only be found in the Gobi desert in Mongolia. All of the modern horses from this breed are the descendants of a few horses that were bred in captivity after they were declared extinct in the wild in 1996. In 2008, efforts were made to reintroduce about 325 horses into the wild. They remain currently listed as critically endangered by the Equid Red List of the International Union for the Conservation of Nature . Like the Mongolian horses, Przewalski’s horse is characterized by a bulky head, thick neck, and a hulking body ― averaging a height between 12-14 hands at the withers. The breed also has a distinctive dun coat with a dark dorsal stripe that runs down the back from mane to tail. They have a vertical mane and no forelock and shed their mane and tail once a year . These physiological similarities between Przewalski’s horse and the Mongolian horse breed can be found in the primitive conformation of their bodies. Since, both the Mongolian and Przewalski’s horses have similar physiological characteristics, the Mongolian breed is almost certainly a domesticized descendent of Przewalski’s horse. A computer analysis conducted by the N.I. Vavilov Institute of General Genetics found that there was a distinct relationship between Przewalski’s horse and the Mongolian horses. The study concluded that the Mongolia breed differentiated from the Przewalski breed about 36,000 years before present and relatively close to the Przewalski’s horse divergence from the domestic horse line about 38,000 years before present .The genetic markers found in the last wild caught Przewalski’s horse mare appear in wild horse breeds but not in the domestic horse line [2, p. 226–234]. This means that Przewalski’s horse is more likely to be directly related to wild horses rather than to the domestic horse line. Przewalski’s horse also has karyological differences that demonstrate it is not closely related to the domestic horses. Przewalski’s horse has 2n=66 chromosomes, but domestic horses only have 2n=64 chromosomes. However, hybrids of these two have 2n=65 chromosomes and can be fertile, which shows that domestic horses and Przewalski’s horse were related by a common ancestor, but then the Tarpan and Przewalski’s horse deviated from a common ancestor through evolution [12, p. 54].The Tarpan is an extinct horse breed, which is now thought to be the ancestor to the domestic horse breeds. This changed the previous theories that Przewalski’s horse was the ancestor of the domestic horse breed. Many different research groups, including E. Kafena et. al., have constructed phylogenies based off the genetic analysis of the markers of many different horse breeds and every phylogeny constructed has showed Przewalski’s horse as and outgroup of the domestic horse breeds. This split between the wild and domestic horses is estimated to have occurred about 12,000-24,000 years ago – before the first domestication of wild horses approximately 6,000 years ago [4, p. 105–112]. This split is the cause for the physiological and behavioral differences between Przewalski’s horse and domestic horses. The upright mane and dorsal stripe that are primary characteristics of the Przewalski’s horse are lacking in the domesticated horse line. Also unlike domesticated horses, Przewalski’s horse is noted for being untamable. They resist being restrained by halters and led by humans, even after living close to humans for a many generations [12, p. 54]. Yet the question remains: How can the Przewalski’s horse be related to the Mongolian horse breeds if it is not related to domestic horses? Despite being domesticated by for many centuries, the variations in the genetics of the Mongolian horses shows that they are older and developed before the modern domesticated horse breeds. This is what makes the Mongolian breed an official part of Asian wild horse family. However, the ancestor of modern domestic horses was a relative of Przewalski’s horse ― the Tarpan. The Tarpan, also known as Equus ferus ferus, is an extinct wild horse breed that has been proven as the connection between domestic horses and Przewalski’s horse [2, p. 25-48]. In a phylogeny constructed by Oakenfull et. al., the Equus ferus ferus and the Equus ferus przewalski was determined to have deviated from a common ancestor into different breeds about 38,000 years before present. The Tarpan was found to have 2n=64 chromosomes just like modern domestic horses [4, p. 105–112]. The genetic material of the Tarpan horses is more similar to the modern domesticated horse, which makes it more likely to be the ancestor than the Przewalski’s horse. The Tarpan was recorded to have gone extinct in the late 19th century, making Przewalski’s horse the closest, living relative of the ancestor of the modern domestic horses [2, p. 25-48]. Beyond its relation to modern domestic horses, Przewalski’s horse is the ancestor of the Asian wild horse family. The mtDNA sequences of ancient Asian horse breeds revealed high nucleotide diversity of the D-loop of mtDNA in the Mongolian horse breed, which is similar to the mtDNA sequences of other Asian breeds. This shows that the Mongolian horse breed is one of the founders of many of the Asian horse breeds . The spread of the genetics of the Mongolian horses is a direct result of the military campaigns carried out by the Mongolian empire between the 13th and 15th centuries. The influence of the swift little ponies spreads from the Indonesian islands to Northwestern Europe. While there is little genetic research done on the Sumbawa ponies of the Indonesian islands, the physiological evidence of the ponies demonstrates their probable relation to the Mongolian horses. They usually average a height of 12 hands at the withers and have heavy heads with a short muscular back and legs. These ponies have finer bones than the Mongolian horses because of breeding with Arabian horses. The influence of the Mongolian horses on the Sumbawa ponies supposedly is from the influence of the Japanese horses in the 14th century. Because of the high level of variations within the gene pool of the Japanese horses, they are assumed to have been a result of the migration of Mongolian horses through the Korean Peninsula [15, p. 374–380]. The migrations of Mongolian horses into these parts of Eastern Asia are thought to be a result of the unsuccessful attempts to subjugate Japan and the Indonesian islands [1, p. 72–73]. Similar to the Sumbawa ponies, the Japanese breeds also display the physiological characteristics of the short muscular body the Mongolian horses. The forelegs of these ponies are short, but also muscled similarly to the Mongolian horses’. The Japanese ponies have a rather ordinary head, which contrasts the bulky head of the Mongolian horses. Recent genetic analysis of the Japanese horses appears to support thehorses as descendants of the Mongolian horses. In 1983, an association was made between the enes of the Japanese ponies and the Cheju ponies of the Korea Peninsula [1, p. 73–77]. The Cheju ponies, native to the Korean island of Cheju, have been proven to be closely related to the Mongolian horses through the similarities of their variations of D-loop of mtDNA. In a phylogeny developed by the N.I. Institute of General Genetics, two out of the seven Cheju ponies used in the research were directly related to one of the Mongolian horses. For almost every Mongolian horse in the phylogenetic tree was directly related to a Cheju pony . Hundreds of miles from the sea, the Tibet pony was developed through cross breeding of the native horse breeds with the Mongolian horses. Like the Mongolian horses, the Tibet pony is noted for its strength and stamina despite their small height of 12.2 hands. This Tibetan pony played a key role in the dispersal of the Mongolian horse genetics through the horse trade in China. The expansion of the Inner Asian Empire under Attila the Hun and Jenghiz Khan led to the large-scale trade of horses within the empire [1, p. 78–79]. The Mongolian horses were – ironically – in high demand as warhorses against nomadic raiders. There are also many records of the horses being used as tribute to the political courts of the Ming dynasty [7, p. 32-33]. The spread of the Mongolian horse and its descendants through the horse trade and the spread of the Mongolian Empire affected more than just Asian horse breeds. The expansion of the Mongolian Empire into Eastern and Central Europe resulted in the further spread of the Mongolian horse. As a result, modern day Russia became a huge hub for horse fairs that sold Mongolian horses. The Europeans were impressed with the little horses’ ability to run long distances and wanted to reproduce this trait by mixing it with European horses to create hybrids. Examples of these hybrids can be found in many Russian breeds. Eastern and Central European horses were more obviously effected than Western European horses due to the rule of the Golden Horde – a remnant of the Mongol Empire, which spanned vast swaths of land in Eastern Europe at its height. Original breeding experiments conducted to produce a hybrid of European and Mongolian horses failed. In Ruth I. Meserve’s book, Frans August Larson reported that he felt that he could «improve the Mongols method of selective breeding and since 1904 have brought into my herds various stallions» [7, p. 42]. The challenges to crossbreeding came from the fact that foreign stallions were significantly larger than the Mongolian mares. When a larger stallion breeds with a smaller mare, the mare has problems with birthing because the foal would be too big to fit through her birth canal. This resulted in many foals and mares dying during the birthing process. The problem can be solved through breeding a foreign mare with a native stallion, but this reduces the number of foals that can be produced. As Frans August Larson learned, «the environmental conditions and natural selection played an important role in the development of the Mongolian horse» [7, p. 42]. However, at least one success was made in the 20th century when the Soviet Union took on a project that developed the Jargalant breed. The goal of the breeding project was to produce a horse breed to carry heavy military loads. In 1951, the project was taken over by Mongolians with a new goal of producing a new type of sport horse. The Jargalant has muscular legs and an average height of 13.3–13.8 hands at the withers, standing out because of their talent in racing [1, p. 64–65]. The Mongolian horses spread just as far west as they did east. Recent mtDNA analysis has shown that some Northwestern European horse breeds are more closely related to Przewalski’s horse rather than the ancestor of the domesticated horse breeds, the Tarpan. These Northwestern European breeds are decedents of the Mongolian horse breed. The research showed that mtDNA for Norwegian Fjord, Belgian, Icelandic, and Mongolian breeds clustered together, showing that there is an influence of Mongolian gene in the Northwestern breeds. Other research has shown the Northwestern European horses are not related to the Arabian horses, which are descendants of the domesticated horse line, meaning that the Northwestern horse breeds are related to the wild Asian horse family [8, p. 18–23].The dispersal of the Mongolian horse breed to Northwestern Europe has been largely credited to the Scandinavian Vikings. The expansion of the Vikings caused an expansion of trade between Europe and Asia. The Vikings would use the Volga Trade Route in Russia to trade with people further east on the Silk Road. The Scandinavians quickly came to value the Mongolian horses for their hardiness and ability to survive on little forage. The Mongolian horses, however, fared poorly in the Northwestern European environment, so the Norse Vikings interbred them with the native Scandinavian horses. Not only does the Icelandic horse share the closest genetics to the Mongolian horse, the physiological characteristics of these Northern ponies demonstrate their Mongolian ancestry [1, p. 84–90]. An Icelandic horse looks remarkably like a Mongolian horse, with the average height at the withers resting at 13–14 hands. Also like the Mongolian horse, the Icelandic breed has a wide variation of coat colorings. The Icelandic breed has a coarser coat, which provides warmth in the cold. The Icelandic horses have sturdy bodies with short, muscular necks. Their short legs are lined with muscles, providing support for them to carry heavy burdens. The horses have been historically used as beasts of burden, but that has since evolved into working in the sport horses industry [10, p. 200]. The hardiness they inherited from the Mongolian horses contributes to their easy keeping in the frigid northern climate. One difference between the Mongolian horses and the Icelandic horses is the Icelandic’s lack of immunity to disease. Because the horses evolved on an isolated island with little disease, the horses never built up the resistance to other diseases as the Mongolian breed did. Iceland has had to declare laws to protect the horses by preventing the horses that have been exported from the country from returning and blocking the importation other livestock. Like the Mongolian horses, the Icelandic horse is also a gaited breed. Gaited horses are horses that have extra gaits besides the walk, trot, canter and gallop. The gaits in the Icelandic contribute to its sure footedness over rough terrain. The gait of the Icelandic horse that is most similar to the joroo gait of the Mongolian horse is the flying pace [8, p. 18–23]. Like the joroo, the flying pace is a gaited pace where the legs on one side of the horse will move, then the legs of the other side move to take a step. This causes the hind foot to fall into the hoof-track of the front foot that is diagonal to it. The horses are able to move at a smooth, fast rate at 48 kilometers per hour. Unlike the Mongolian joroo gait, this pace cannot be used for long distance traveling, due to the gait’s training and balance requirements [1, p. 84–90]. Because the Norse Vikings had trade ports along the entirety of the Northwestern coast, this resulted in the further exposure of the Mongolian horses. One of these resulting breeds, the Shetland pony, is extremely closely related to the Icelandic horse and Mongolian horse. These ponies are a result of crossbreeding between the Icelandic horses that the Norse brought to Shetland Island [8, p. 18–23]. These ponies are smaller than their Mongolian ancestors as they average 7–11 hands at the withers. Their small faces and relatively small muscled bodies show few similarities to the Mongolian horses [10, p. 84]. Despite the differences, genetic research has recently only revealed their relation to the Mongolian horse. Another close relative of the Mongolian horse is the Norwegian Fjord. The Norwegian Fjord, the Icelandic horse, Belgian horse, and Mongolian horse have three clusters of mtDNA similarities .The Norwegian Fjord looks most similar to Przewalski’s horse, with its bulky body, dun coat, and black dorsal stripe. The muscular bodies, like those of the Mongolian horses, make them good beasts of burden. From one Empire to another, the Mongolian horse spread across the plains and the waves. The foundation of the power of the Mongolian Empire was constructed from horseback. The Mongolian Empire began under the leadership of Jenghiz Khan, who unified the nomadic Mongolian tribes in 1206. Much of the empires eventual military successes derived from tactics used effectively under his leadership. His death in 1237 led to the inheritance of his son Ögedei Khan, who ordered Batu Khan to conquor the Rus – a predecessor to Muscovy and eventually Russia – in 1225. The Mongol presence in Europe began by placing the Rus under the Tatar yoke of the Golden Horde khanate that was ruled by Batu Khan. After the Kievan Rus people were incorporated into the Golden Horde khanate of the Mongolian Empire, the Mongolian armies continued westward. They conquered all of Eastern Europe and parts of central Europe by 1241. The death of Ögedei in 1241 saved Western Europe from the onslaught of Batu Khan’s armies as conflicts over the succession continued throughout the remaining period of the Mongolian Empire. The internal disunity led to the collapse of the Empire and saved Western Europe from the yoke of the Golden Horde. There is no doubt that if the empire had managed to stay united they would have conquered all of Europe . The Mongolian Empire had been accredited to cause the most destruction and death to their conquered lands, than any other empire. Despite the harsh Mongolian conquest and rule of Eastern and central European nationalities, the incorporation of Mongolian military tactics and organization contributed to its success. However, the core of the operation was the most valuable piece of Mongol society: the horse. There is absolutely no doubt that the Mongolian Empire would have failed without the aid of the small, tough steppe horses. The military success because of the great horsemanship of the Mongols changed the face of European horsemanship and in turn, European society. While the Mongolians valued their horses for provision of food with their meat and milk and as transportation, the horses were prized for the advantages they provided in warfare. The short, strong animals to this day are known for their sturdiness. The ability of the animals to run for long periods of time without getting winded allowed the Mongolians to cover land faster than their opponents could. The Mongolian strategy of hit-and-run raids was developed because of the horses’ ability to quickly turn and gallop for miles after battle. This was an advantage the nomadic Mongolians had over the sedentary agricultural based societies. The victims of these raids could not keep up with the long distances that the Mongolians were able to cover with their horses. These horses were so fast that, according to Morris Rossabi, they were the «intercontinental ballistic missiles» of the Mongolian army [11, p. 48–57]. The mobility and surprise of the Mongolian raids was one of the key components in the military strategies developed by Jenghiz Khan. The rugged animals also required little maintenance from their riders, when compared to the upkeep of the European horses. The horses’ small sized contributed to the little substance it needed to survive, as they did not need as much grazing time. The horses’ ability to forage for their own food, even in the snow, allowed the Mongolian forces to travel with less gear that would have otherwise slowed them down. The toughness of the Mongolian horses’ hooves resulted in little loss of time and horses from lameness. They were able to endure through snow, rocks, and other harsh climates – far surpassing the abilities of the European horses, all contributing to the Mongolian war machine. Both historical and modern Mongolian culture is centered around the horse. The horse has been and still is used for food for the Mongols. Reports from Marco Polo described how the Mongolian armies used the horses when all other food had been eaten. 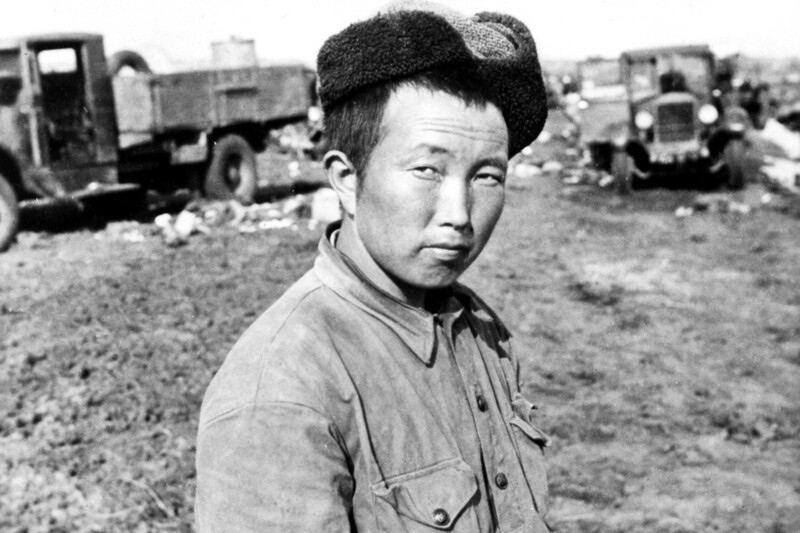 Like other nomadic societies throughout the world, the Mongolians would cut a horse’s vein and drink the blood to supplement their food supplies [1, p. 130]. The Mongolians were careful with the amount of blood they took from the horses and would cauterize the veins with hot rocks to stop the bleeding and prevent infection [7, p. 200]. On the warpath, mares were often preferred by the Mongolian armies because of their ability to provide milk. Horsemeat similarly contributed when necessary, the meat is has high nutritional value because of the large numbers of calories, unsaturated fats, and proteins [1, p. 131]. However, the Mongolian cavalry were careful to only consume the horses that were lame or sick and unable to continue their work in battle, nothing was ever wasted From the Mongolian perspective «if the horse dies. I die; if it lives, I survive» . The importance of the horse in Mongolian culture contributes to their historical and modern portrayal of being the finest horsemen in the world. Mongolian warriors, like the rest of the members of the Mongolian tribes, were raised on horseback and began riding and firing bows at age three. According to Boyd, even the youngest Mongolian child knew how their body position affected the horse’s movement and could balance on a charging horse without saddles or stirrups. The Mongols were able to do everything while on horseback. 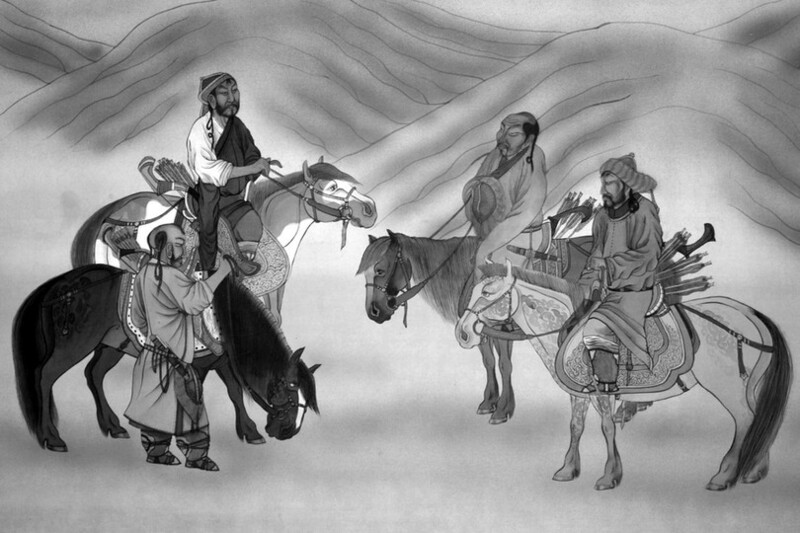 In Marco Polo’s reports he claimed the Mongols would often sleep while mounted and armed [1, p. 107–108]. The versatility, independence, and flexibility of the nomadic lifestyle based on horses similarly contributed to the advantages of the Mongolian forces. The warriors went through intensive training that produced experts at war. Women and children were trained to defend the baggage train, while the men attacked other forces. Every member of the group was taught to ride well and defend themselves against foes. Jenghiz Khan used other aspects of Mongolian horse culture to develop military tactics. Most members of the society had more than one mount in case one was injured or died. The Mongolian forces understood the importance of making sure the horses were given breaks so that they would not injure themselves from running for too long. According to Morris Rossabi’s work, each member of the cavalry had a minimum of three or four mounts, in order to provide rests from carrying the weight of a rider. Jenghiz Khan also created other tactics to keep the mounts fresh for battle. The Mongolian forces would appear to retreat at the start of a battle, and the opposing cavalry forces would chase them. When the Mongolia force thought the opposing forces mounts were exhausted, they went to where they stored their backup horses and changed mounts. The Mongols took advantage of their opponents’ fatigue and would then attack. An example of this strategy is the Battle of Kalka River, in what is now southern Russian territory. According to Rossabi, the Mongolian forces feigned retreat and the Rus leader, Mstislav the Daring, believed to have the advantage and ordered his troops to attack without waiting for the remainder of the army. The Mongolian forces first used mounted archers to pick off troops, while the heavy cavalry attacked. The two forces then combined and used their force to deliver the final blows to the Rus armies. Jenghiz Khan’s use of the nomadic lifestyle centered on the little, tough Mongolian horses was the core of Mongolian Empire . Despite all of the advantages of these little horses, there were some disadvantages. A prime example of these disadvantages is in John Masson’s article, «Nomads on Ponies vs. Slaves on Horses.» The article compared the Mongols and the Mamluks, slave soldiers in the Middle East particularly modern day Egypt. The Mongols failed to conquer this area because of the Mamluks military tactics. The Mongol horses struggled to keep up because the Mongol style of horse keeping was not suited to the desert environment, leading to the horses not getting the right amount of nutrients and being overworked. The Mamluks own horses are what provided them the advantage. The African horses had been raised on grain, because of the little pastureland in Egypt. This resulted in larger horses, whose size gave them faster speed. The Mongolian horses were flexible and had endurance, but did not run as fast as the larger horses did at a sprint because of their little legs. The larger horses of the Mamluks were also able to carry more weight because of their size, resulting in the Mamluk horses being better equipped with armor and weapons than the Mongolians. The Mamluks coated their horses in armor, while the Mongols used light leather armor to cover their horses, which the Mamluk swords were able to penetrate [13, p. 54–62]. The combination of factors led to the defeat of the Mongolian horde. Across the Mediterranean, the Mongolian horses had a different reception. When the first Europeans came into contact with the Mongolians and their little horses they noted that they «were castrated, well-disciplined, and capable of great labor» [7, p. 35]. Other than that, the Europeans with their large destriers were unimpressed with the primitive looking little horses, and were far more concerned with the politics of the nation. However, the European reports of the «ugly, little horses that could be exceedingly hard to manage, but had amazing staying power» led to their legacy to grow as the Mongolians showcased some of the horses’ surprising abilities [6, p. 42]. Jacques Margeret, a French ambassador to Muscovy discussed that most of the Muscovy cavalry in the 17th century, consisted of horses that were brought by the Nogai Tatars. These horses, which were called the koni, were incomparable by other breeds when it came to speed and endurance. Margeret added while the koni were suitable for work, they were wilder than other breeds in Russia [6, p. 43-44]. As foreigners became more interested in the strength of these horses, they were brought to fairs where their running abilities were demonstrated [7, p. 42]. Margeret remarked on the wealth that came from this horse trade. He explained that to prevent anyone from claiming that their horse had been stolen, all of the horses were required to be registered when sold. Both the Tatars and the Tsar of Russia benefited greatly from the sale. The Tsar was allowed to take his choice of one tenth of the horses and then received five percent of the eventual sale price. The Tatars brought as many as 40,000 horses about two or three times a year, and “one cannot be exactly certain of the revenue of the emperor” solely based on the horse trade [6, p. 47–49]. These fairs caused the spread of a large amount of Mongolian horses and they were bred with European breeds to produce new hybrids. The descriptions of Muscovian horses’ conformation and abilities showed relation to the Tatar horses. Adam Olearius stated in his book, «the Muscovian horses are very low, yet fit enough for this kind of traveling, for being swift and indefatigable» . Demonstrating that the Muscovites had already begun breeding their horses with the Mongolians’. Other European envoys sent to the Russia commented on the variety of Central European, Turkish, and Mongolian horse breeds present. For example, both Sigmund von Herberstein and Jacques Margeret reported a breed that they called aragmaks. This breed was from Poland and it was remarked by Margeret that they were good horses and that they were finer than the Turkish horses. He also noted that the native Russian horses called the merina have a small body type like the Mongolian horses, but are easier to train. 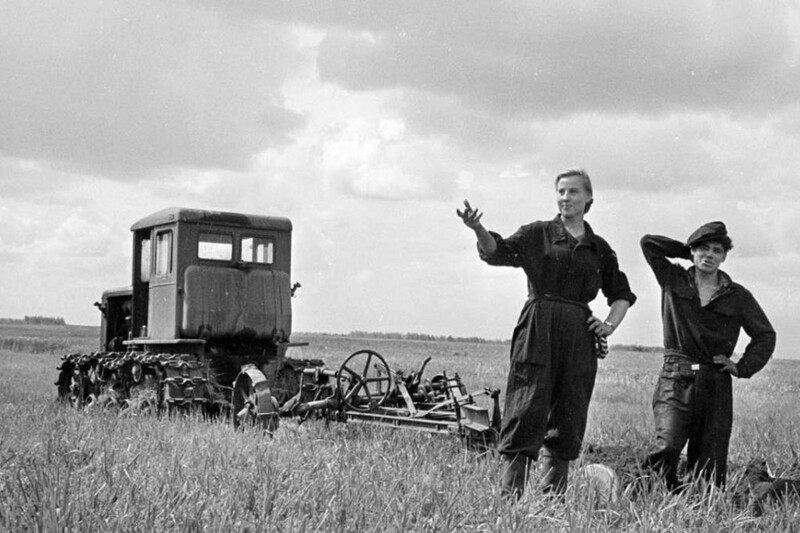 Margeret explains that a good Russian or Tatar horse could be sold for 20 rubles, and was better suited for work than the aragmaks of Poland that were sold for as much as 100 rubles. This made the Nogai horses available to a wider selection of the population, allowing even peasants to own the horses. One of the things that fascinated the European envoys was the color variation of the Mongolian horses. Margeret mentioned that the Empress of Russia’s coach was pulled by the beautiful white koni spotted with black. This coat coloring is not common within most European breeds, so it is no surprise that the Europeans would find the coat colors to be striking [6, p. 42–44]. Europeans were also drawn to the Mongolian warrior horse culture. The tartar warriors’ skills as horsemen and their ability to defeat almost everyone who stood in their way distinctly stood out. While the partnership the warriors had with their horses was fundamental, equipment was developed to add to the warriors’ proficiency in war. These warriors had to develop types of riding tack that would accommodate for their need to ride for long periods of time. The Europeans adopted the tack the Mongolians used after seeing the advantages it gave. According to an article by Witold Swietoslawski, «basic parts of medieval European horse harness and armour, including the high, stiff saddles with pommels, the stirrups and bit had originated in the Far East, Asia» . A drawing by Sigmund von Herberstein illustrates the influence of the Tatar equipment on the Muscovites. Like the Tatar saddles, they have «sort stirrups, as though they wanted to lift their knees from the saddle». The saddles used by the Tatars, were designed to be more comfortable for both the horse and rider, by keeping the rider from having direct contact with the horse’s vertebrae. The Mongolian saddle is characterized by a high pommel and cantle. The pommel is the front part of the saddle and the cantle is the back part of the saddle. The purpose of these parts being high is to lock the rider into place, but low enough «so that the rider can turn right around to either side to allow the shooting with the bow» [3, p. 76]. The Mongolian Tatars directly influenced the Duchy of Muscovy far more than other European states. While the European saddles were based off of the East Asian styled saddles, they developed into a new kind of saddle at the end of the early Middle Ages. European knights’ saddles had an even higher pommel than the Mongolians and the cantle was curved shaped to fit around the rider’s hips, causing the rider to be firmly wedged on the back of the horse and making it difficult to be unseated. The rigid structure of the saddle prevented the rider from being able to move flexibly on the horse. In order for the European knight to remain balanced in their high, rigid saddles, they had to have long stirrups. The long stirrups caused the rider to have to stretch his legs towards the front of the horse, in order to remain balanced while thrusting at enemies with weapons. When a rider’s leg is in front of their horse, the horse cannot the same receive cues as it would if the leg was further back and in contact with the horses body. The Europeans knights had many problems controlling their horses because their leg was in front of them and their hands were full of swords and shields . In contrast to the long stirrups of the Europeans, the Mongolians had «sort stirrups, as though they wanted to lift their knees from the saddle» . This allowed for the nomadic warriors to have more control over their horses with only their legs, which left their hands free to fire arrows while mounted. The shorter stirrups also made it easier for the warriors to stand up in the saddle while the horse was running. This provided an advantage because when the rider stands in the saddle, the movement of the horse effects them less. By standing up, the Mongolians were able to be steadier and shoot more accurately while galloping [1, p. 227]. The Mongolian tack was also lighter than the European knights because it was made out of leather and brush. This enabled the horse to move faster and frequently stay fresher longer. The saddle the western knight’s horses wore was made of metal, making it harder for the horses to carry for long periods. This is part of the reason why the western European warhorses had to be larger than the nomads. Like their saddle, the armor worn by the Tatar’s horses was lightweight. The armor was made from lamellar, or toughened leather. The armor covered the necks, heads, and bodies of the horses, providing protection from the arrowheads but restricting the horses’ movements. Another disadvantage of using lamellar armor was that the armor could be easily sliced through with a sword. The European armor on the other hand had heavy metal armor that covered the head, neck, chest and back of the horses. This armor slowed their horses down and wore them out faster than the lighter, more flexible lamellar, but also providing a measure of protection lacking for the Mongolian horses. As well as other various kinds of equipment, the Tatars used whips to get their horses to go faster. It was considered a sin to strike a horse with spurs among the Mongolians. To contrast the European knights used sharp star shaped spurs to push their horses into action. These spurs often cut the horses sides, causing more damage than necessary . However, despite the differences between the two different peoples the Mongolians affected the warhorse style of Eastern Europe. An illustration in Sigmund von Herberstein’s book demonstrates the degree of influence the Tatars had in Russia. The description under the photo reads as «Mounted Muscovite noblemen, showing Tatar influence. Quilted clothing, bow, side-arms, saddler, bridles-even the manner of dressing the horses’ tails,» revealed the influence the nomads had on the Eastern Europeans [3, p. 76]. The physiological traits of the Mongolian horse are the primary cause of the expansion of the Mongolian Empire. The Mongolian horses’ ancestry has been traced from the last surviving wild horse, Przewalski’s horse. The ancestor of the domestic horse family has been related to the Tarpan, rather than Przewalski’s horse making the Mongolian horse a part of the Asian wild horse family, instead of part of the domestic horse family. The Mongolian horse has also significantly contributed to the start of different horse breeds in the world including many Asian and Northwestern horse breeds. The seemingly unimpressive ugly, little horses from Asian came to be admired by Europeans and around the world because of their impressive athletic feats. The foundation of the Mongolian Empire was without a doubt built on the back of these horses. The centralization of the Mongolian society around these horses contributed to their development of military tactics that were successful against most foes on the Eurasian continent. The bloodlines of these horses became desired all over Europe in attempts to create European hybrids that contained the stamina and hardiness of the Mongolian horses. Like the Mongolian Empire, the legacy of the Mongolian horse is visible today to those who look carefully. Bold B.O. Eques Mongolica: Introduction to Mongolian horsemanship. Toronto: St. Martin’s Press 2012. 176 p.
Herberstein Sigmund Freiherr von. Description of Moscow and Muscovy, 1557. Edited by Bertold Picard. New York: Barnes and Noble, 1969. 533 p.
Margeret J. The Russian Empire and Grand Duchy of Muscovy: a 17th century French account. Translated by Chester S.L. Dunning. Pittsburg, PA: University of Pittsburg Press, 1983. 367 p.
Meserve Ruth I. An Historical Perspective of Mongol Horse Training, Care, and Management. Indiana University, 1987. Olearius Adam. Voyages and travels of the ambassadors sent by Frederick Duke of Holstein, to the great Duke of Muscovy, and the King of Persia. London: John Starkey, 1669. 348 p.
Pickernal T. The Encyclopedia of Horses and Ponies. Barnes & Noble Books, 2002. Не подписываться Все Ответы на мои комментарии Уведомлять меня о новых комментариях по e-mail. Вы можете подписаться без комментирования. Русский исторический роман XIX века в контексте культурного сознания - 5 253 просм. Реальные предки выдуманного героя: история рода дворян Гриневых и исторический прототип героя повести А.С. Пушкина ... - 4 269 просм. Символика цвета в средневековой алхимии - 3 779 просм. Государственная дума РФ I созыва (1994 – 1995 гг. ): Основные аспекты истории становления и формирования - 3 746 просм. Нижегородское купечество в конце XVIII – первой четверти XIX века: численность и гильдейский состав - 1 954 просм. Крестьянский вопрос при Павле I глазами провинциального историка М.В. Клочкова - 1 929 просм. 226-й пехотный Землянский полк: история и современность - 1 924 просм. 2014-2019 © Журнал «История: факты и символы» зарегистрирован в Федеральной службе по надзору в сфере связи, информационных технологий и массовых коммуникаций (Роскомнадзор) 07.11.2014 г., свидетельство ПИ № ФС77-59752. 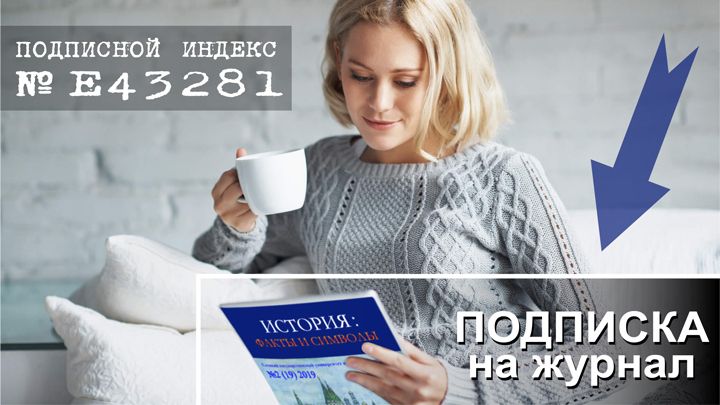 Представлен в Научной электронной библиотеке РИНЦ. При копировании материалов сайта активная ссылка на сайт или упоминание источника обязательны.